WOMACK’S YOKOTEN – Last week, during a study mission in Japan, the Lean Global Network visited Toyota. 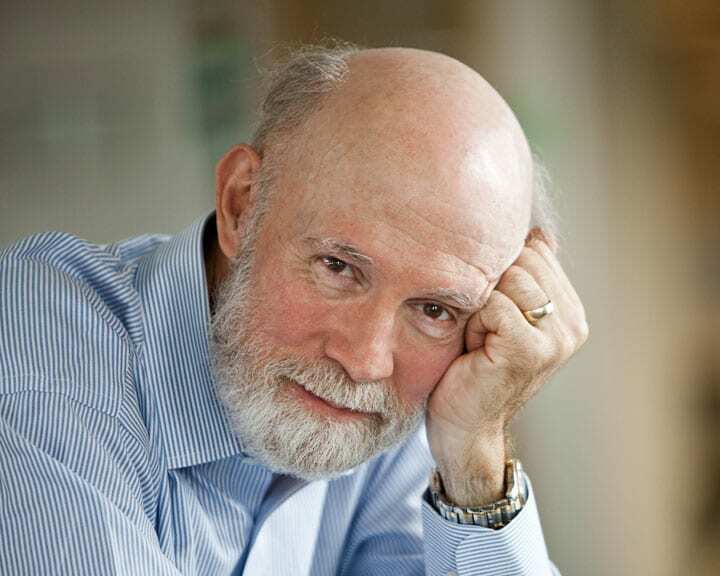 Here, Jim shares his thoughts on what we saw and learned. 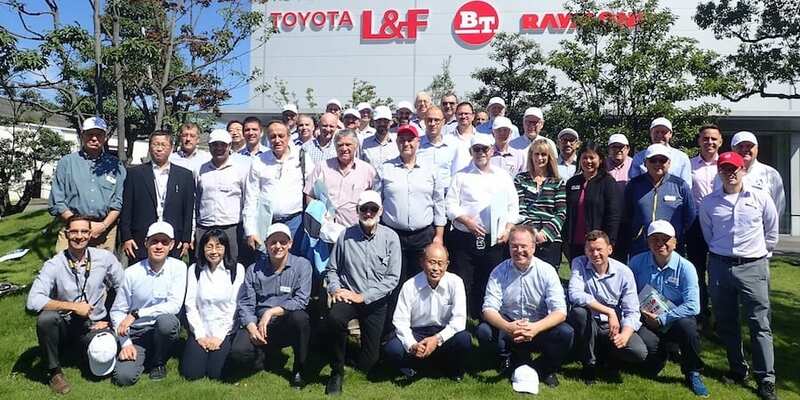 This year marks the 10th anniversary of the Lean Global Network and so it seemed appropriate to hold the annual meeting of the 23 national affiliate organizations at Toyota in Japan this past week. I write this far above the Pacific as I return. The timing of this trip was perfect for me, because I have been reflecting on the lean movement and our mission as we also celebrate LEI’s 20th anniversary. As readers discovered last month, I’m concerned about the progress we are making in spreading lean thinking and practice. 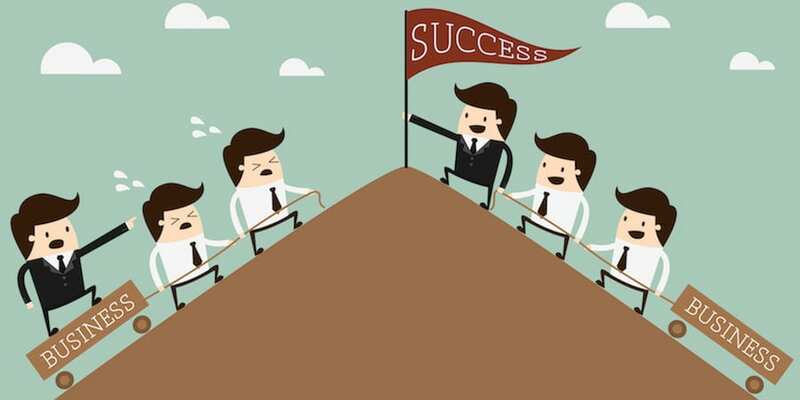 We’ve got great ideas but we are still struggling to get the world’s managers to adopt them. 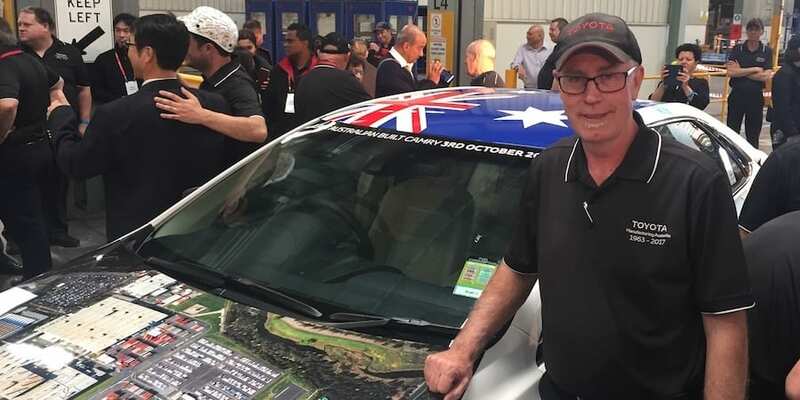 Given my qualms, it would have been truly dismaying to discover that Toyota and its supplier group have lost their way at the lean point of origin in Japan. So, I approached our visit with some concern. I knew that Toyota had conducted deep critical self-reflection (what we refer to as hansei) after it grew too fast in the 2000s in pursuit of leadership in global market share. And I knew that President Akio Toyoda had summarized his conclusions in two simple phrases: “back to basics” and “design interesting vehicles”. 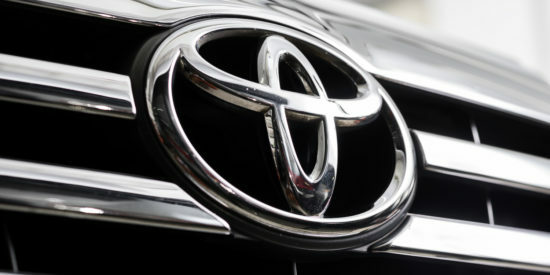 The former meant returning to traditional Toyota management practices that put customers (rather than rapid growth and market share) first, while the latter meant acknowledging that the global auto industry has leveled up on quality and durability – the company’s prime differentiators in the market for decades – and that Toyota designs that avoid risk but fail to stoke passion would no longer serve. But until the LGN study tour, I had no first-hand, gemba knowledge of what had been accomplished. What I found in a week of walking through truly lean facilities in Toyota City and talking with engineers and managers, young and old, were striking examples of putting these simple directions into practice. The chief engineer (CE) concept had been revised before, in the early 1990s, as Toyota grew rapidly. 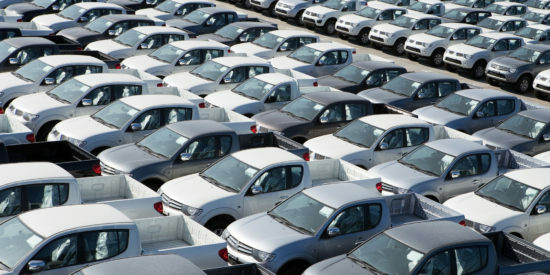 To manage the growing variety of small and large cars and light trucks, Toyota created platform groups for these vehicles above the traditional CEs. But this was not enough as the company surged to 10 million vehicles by 2009 and fell behind in the performance of its basic platforms. As a result, CEs were substantially reengineering the base platforms to serve their customers and driving up development costs. 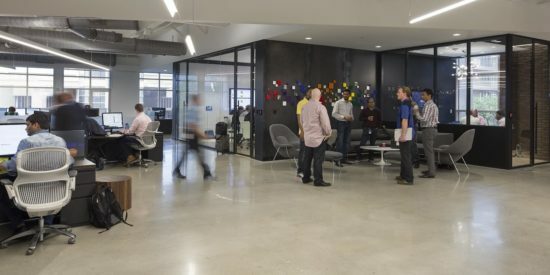 The new approach is to keep CEs in charge of products but to set boundaries on the number of components and systems, while reengineering each of a smaller number of platforms to a higher standard. For example, the center of gravity of Toyota vehicles has been lowered for better driver experience, the number of transmissions has been halved, and the use of standard fit points has reduced the number of alternators from 14 to 6. CEs can appeal to a high-level committee if none of the standard options suits their customers, but the quality of the smaller number of new platforms permits new products like the Camry to be dramatically improved without spending massive amounts on customization of the underbody. Recent styling decisions by chief engineers in quest of Akio’s request for “interesting vehicles” can be debated (although I’m beginning to like my new Prius Prime Advanced, which I originally approached with my eyes closed). But the CEs are at least trying experiments going beyond Toyota’s traditional comfort zone as the whole global industry struggles with how autonomous, electric, shared-use vehicles should look and drive. Toyota has launched its Toyota New Global Architecture (TNGA) to design future products with common fit points that will permit many products to go down any production line and to share major components. This is important in a world where neither the mix of vehicle options nor the volume for whole products can be forecast and products need to be shifted between plants. Stated another way, Toyota has decided that its past practice of assigning low-volume and high-variety products to its contract assemblers (such as Kanto and Toyota Auto Body) and its high-volume products like Camry and RAV 4 to its big assembly plants like Takaoka, Motomachi and Tsutsumi, must now change so that all plants can handle lower volume products with a higher option mix in mixed assembly sequence. 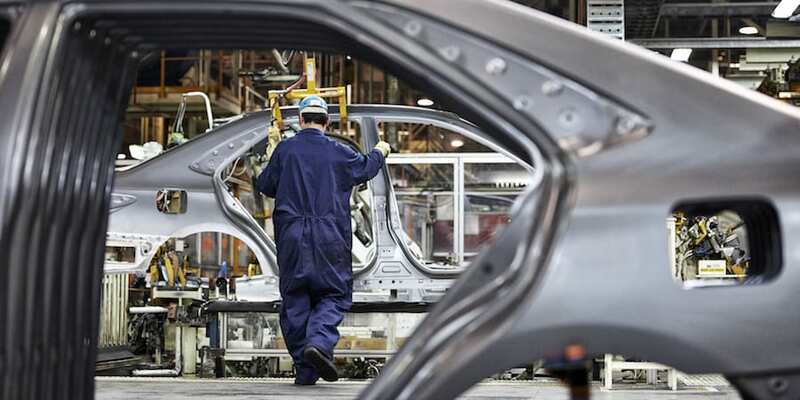 This sounds simple but requires standard fit points – for example for the carriers taking vehicles through assembly – and massive changes in assembly plant practices if costs are to be reduced. Toyota has proved that it still has the basic skills to recover when it makes operational mistakes. At Toyota Industrial Equipment, a maker of forklifts, tuggers, and other material handling equipment that is part of the original Toyota Automatic Loom company, 37-year Toyota veteran Sadao Nomura was called in as senior advisor to create basic stability after management took its eye off the ball during dramatic growth (unusually for Toyota, by acquisition) in the 2000s. 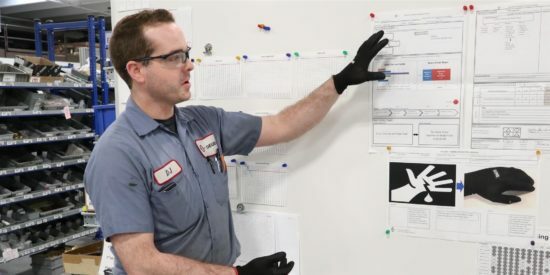 By reinforcing visual management in every work place and quickly counter-measuring every deviation from standards, in-process defects were reduced by 98 percent across the production system of ten plants in seven countries and warranty claims were reduced by two thirds. In addition, the high-mix mother plant in Toyota City is one of the finest examples of lean production I have seen. 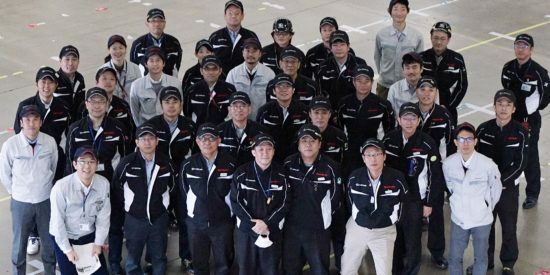 Toyota is pursuing system kaizen in its service parts distribution to dealers in Japan and abroad, which is already the most efficient and effective in the world. Where else can one find a warehouse stocking 300,000 part numbers that turns its inventory every week? And yet the senior TPS advisor assigned to the system sees the potential for dramatic improvement of the entire service parts network in the next few years. Toyota has maintained a remarkable continuity in leadership under one family through five generations (despite the Toyoda family owning only 1% of the shares) and we met a deep bench of young managers in every facility with a remarkable depth of lean skills. So, I’m relaxing up here in the sky. Toyota is doing fine, having gotten back to basics. Now it’s time for the rest of us to get back to the work of thinking through our strategy for the next phase of the lean movement. Details to follow in future columns.